While I'm Waiting...: Make a Difference Monday - Glorious Gloria! Make a Difference Monday - Glorious Gloria! Mrs. Gloria Kennard. She is 70 years young and her name absolutely fits her personality - she is GLORIOUS and a true example of someone who makes a difference every.single.day! My husband, Mike, met Gloria nearly 15 years ago while he was getting his MBA at Texas A&M. 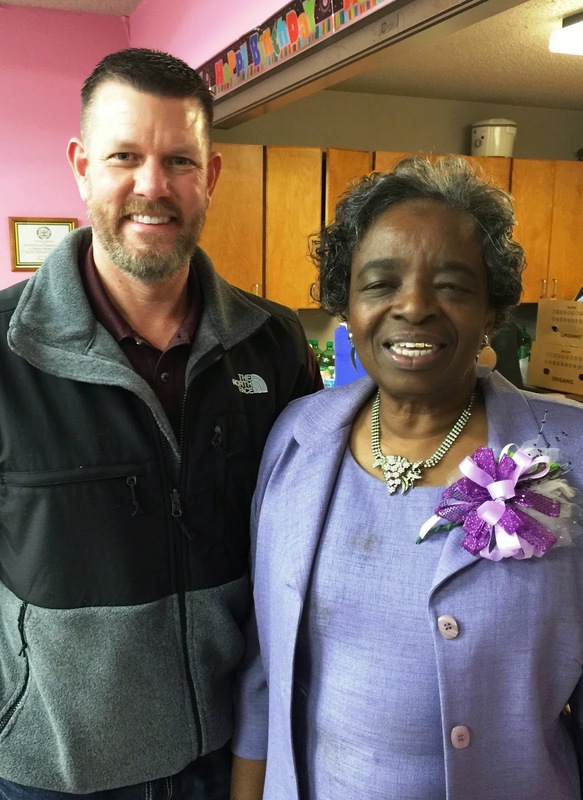 Gloria worked at the Ag Cafe and not only kept him fed with actual nourishment, but she also nourished his soul. She got to know him, learned all about our family, and has continued to keep up with us since then. I have only been in her presence a handful of times but she loves and cares for us as if she sees us every day. Even though we may not see each other often, Gloria has made an impact on my life. These are just a few of the ways that she has made a difference in my life and the lives of others. 1. She gives God all the glory! As we were loving on her Saturday and wishing her a happy birthday, the first thing she told us was that this party was to thank God for letting her live for 70 years. She immediately took the attention away from herself and gave it to God. 2. She loves people - and people love her! I haven't seen Gloria since we attended her 40th anniversary party nearly 10 years ago. This is the same woman that embraced me and my family on Saturday like we had been in constant contact. She knows how to love people and make them feel special. 3. Gloria is accountable. During Gloria's time at Texas A&M, she worked over 15 YEARS without missing a day of work! Wow - just WOW! Can you imagine never missing a day of work for over 15 years?! I sure can't but this speaks volumes for the kind of person she is! She made me laugh towards the end of her remarks. She said, "If you need something, just ask. I might not do it with a smile, but I'll do it." This woman is amazing! She will help anyone with anything, at anytime! 4. She has a servant's heart. For the past 26 years, Gloria has organized a Thanksgiving meal to serve those in need in our community. We were fortunate to work with her one year and to see her in her element is to truly see the hands and feet of Jesus in action. Last year alone she and her staff of volunteers served over 600 people! She saw a need and asked, "what can I do?" and then she did it! She was quoted in our local newspaper as saying, "Just come by and have a nice Thanksgiving with one another because I need you, you need me and we all need the Lord." 5. She has shown me that you can serve right where you are. Many times I have doubted myself or my abilities to help someone cause I'm "just a stay-at-home-mom." Gloria has reminded me that couldn't be further from the truth. Every day as she fed my husband lunch, she poured into him. She wasn't quoting scripture or taking him to church but she was witnessing to him in a way that truly mattered. She was loving him like God does. She took an interest in him that has lasted nearly 15 years. 6. And, she is so much fun! She has a little strut that she does (nearly everyone that got up to speak about her mentioned it!) as she's walking. She glides across the floor with the most mischievous smile on her face. And, as we finished up singing Happy Birthday to her, she quickly told us we could do better and had us sing to her again! She is so full of life! She loves God and she loves others and it shows! Happy Birthday, Gloria! You are such a blessing and example to us! Thank you for making a difference! We love you and we look forward to celebrating with you for many, many more years! Thanks, Kendra! We do feel blessed to know her! Such an example of the type of person I would like to be known for if I'm blessed to live to 70! What a fun story! I have never heard this one before....such a great example. We always send her a Christmas card and she always calls us the minute she gets it. I didn't remember her calling this year and when I asked Mike he said that he had already called her! :) He loves her so much! Thanks! I think it's such a neat story of how they met and have kept up a relationship. She's amazing! I'm from Bryan/College Station and I know of Mrs. Gloria's never failing kindness and concern for the needy each Thanksgiving season. She is a blessing to our entire community! Gig 'em and God bless you and your family! Terri B. TAMU Class of 79! Howdy, Terri! Thanks for stopping by and sharing kind words for Gloria. We think she's just the best! Gig 'em! Gloria sounds like a gem of a woman! You are so blessed to know her! Isn't it amazing how God places people in our lives like that? I do love when that happens! Thanks for hosting the link up! 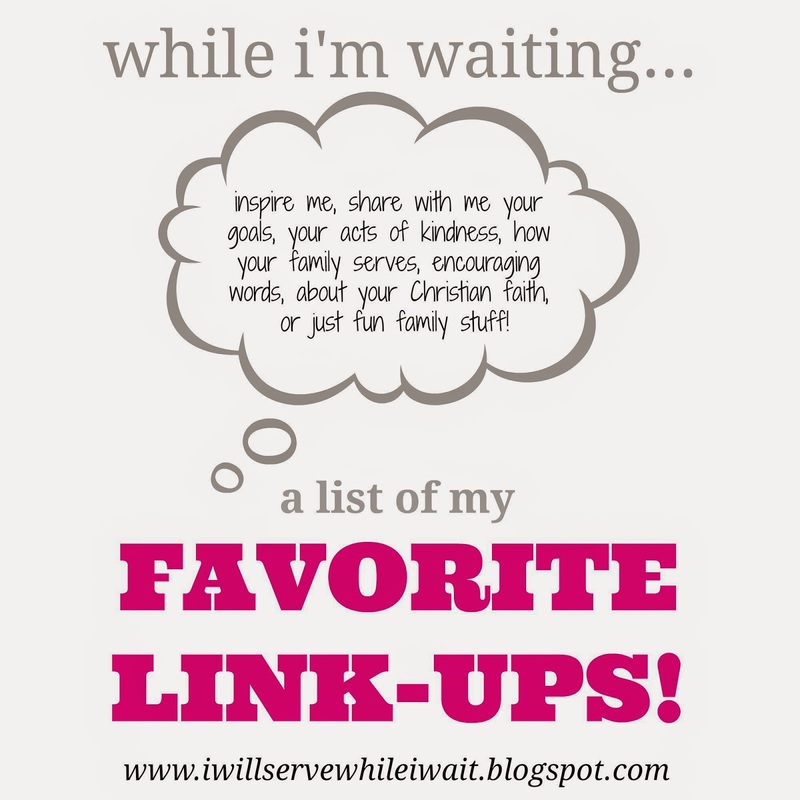 I've got a Link Up page that lists all my favorite link ups - and Tuesday Talk is listed there. Have a wonderful weekend! Thank, Carolin! Just last night she called us cause we were on her mind. She's got a heart of gold! Thanks for hosting the link up! Love this story! Thanks so much for sharing!! I bet y'all are just as big of a blessing in her life as she is in yours! She is the sweetest! She had no idea what we had gone through this past weekend but called us to check on us because she was thinking about us. I love that she not only thinks - but acts too! I can learn so much from her! She sounds like everyone's grandmother. What a blessing. I love how you added scripture to this Holly. And another great example for your children to see the love you all showed this sweet lady. She's amazing! Reminds me that we need to call and check on her! I kind of really want to be Gloria when I grow up. What an awesome story!!! I hope you email her mail her a copy of this post! You are well on your way, sweet friend! Making a difference wherever you go - just like Gloria!